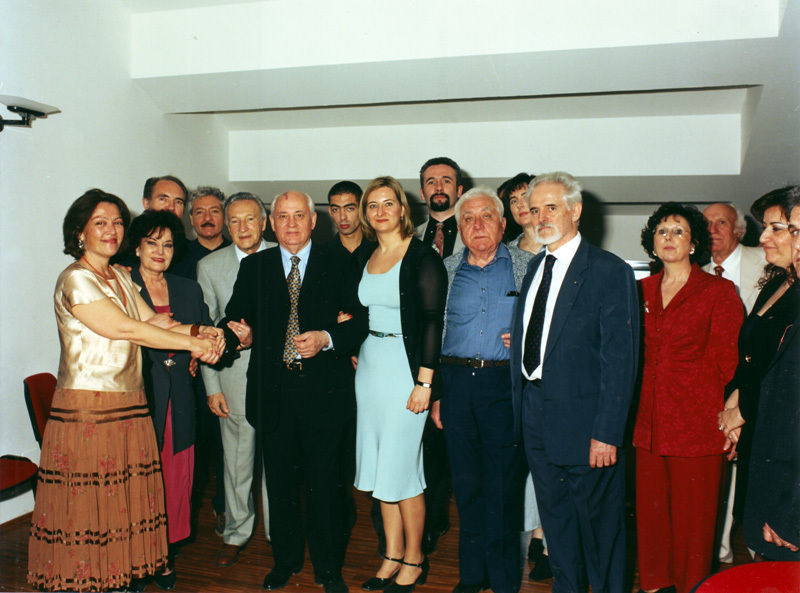 Mikhail Gorbachev, during the first Summit of Nobel Peace Prize (Rome, 2000), identifies the old poster of Franco Scepi of the film “Man of Marble” by Andrzej Wajda as a strong symbolic charge. 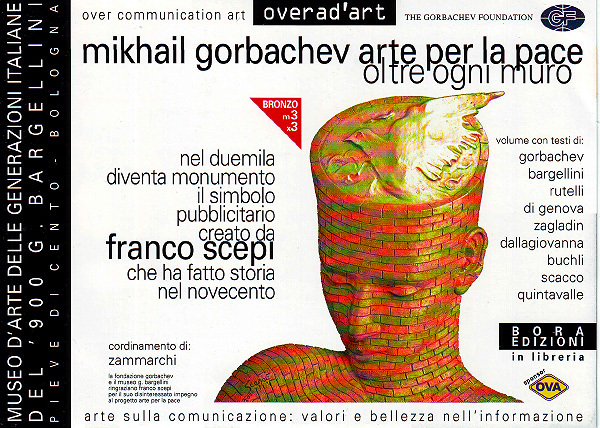 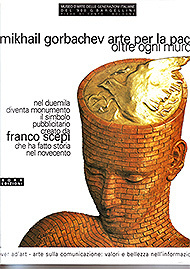 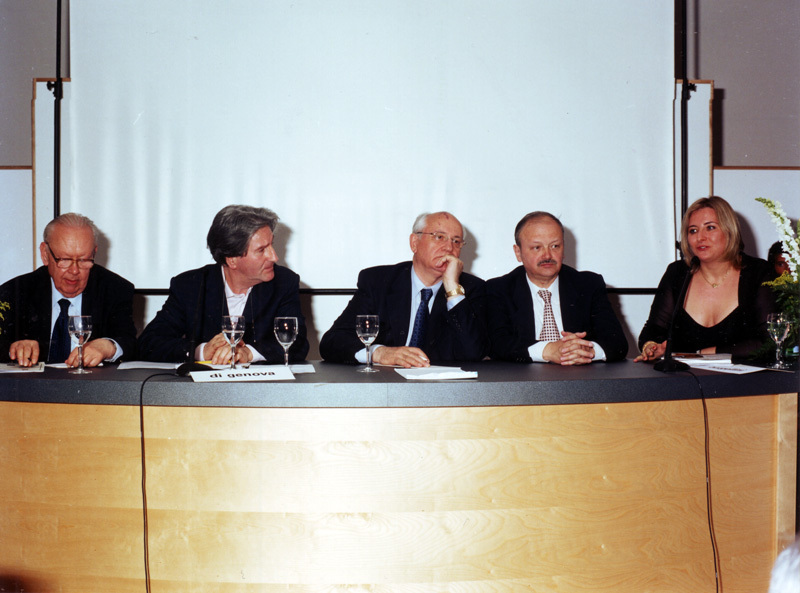 The picture, created in 1979, expressed a wide horizon of ideas and expectations, and was reinterpreted by Scepi to become the logo of the Nobel Prizes conference in Rome on the initiative of the City and the Gorbachev Foundation. 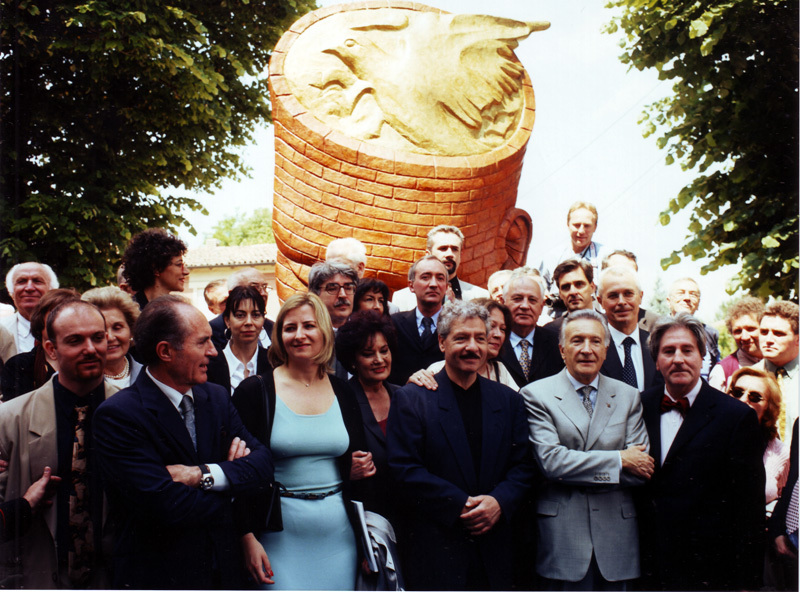 The Bargellini Museum in Pieve di Cento (Bologna) hosts the bronze sculptural version of the Man of Peace. 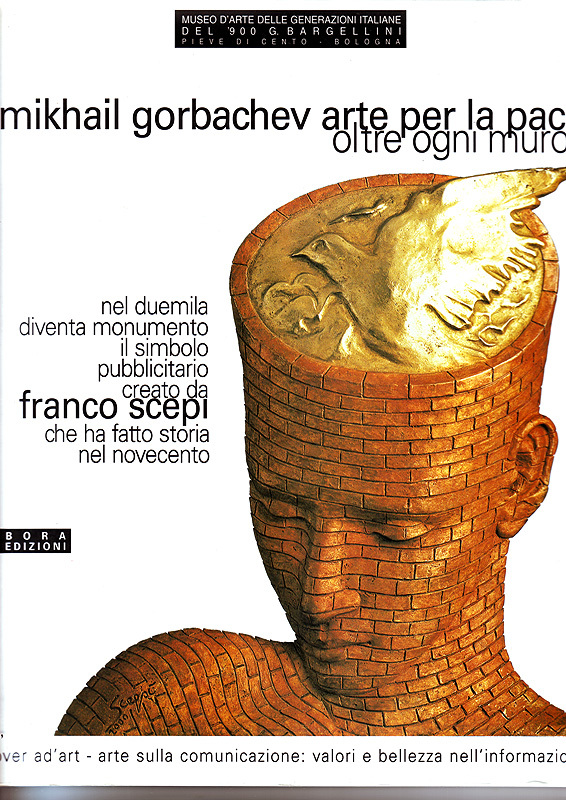 A book, edited by Bora, collects essays and testimonies of G. Bargellini, G. Di Genova, F. Rutelli, M. Dalla Giovanna, V. Zagladin, M. Gorbachev, E. Buchli, A. C. Quintavalle, L. Scacco.